What's the difference between a notary and a justice of the peace? What’s the difference between a notary public and a justice of peace? In Australia, the main difference between a notary public and a justice of peace is that a notary public is recognised overseas (ie, outside of Australia) while a justice of peace is only recognised in Australia. The role of a notary public can be best described as an ‘international justice of the peace’. If your document needs to be used overseas then you will generally need to have your document notarised by a notary public. The fact that you are asking this question and you are now reading this page suggests that someone has asked you to use a notary public or to have your documents notarised. A notary public can also assist you with documents that you use in Australia, but as a justice of the peace may not charge a fee for their service, using a justice of the peace for documents that you use in Australia is financially logical choice. For your further information, all notaries in Australia must be lawyers but not all lawyers are or must be notaries. A justice of peace does not have to be a lawyer (and probably most justice of peace are not lawyers). For more information regarding JPs in New South Wales, please visit http://www.jp.nsw.gov.au/. * this is our most ‘frequent’ frequently asked question regarding our notary public services. What does a notary public do? What makes you different from other notaries? I’ve been told I need an apostille. Where and how do I get it? Are you recognised by the Department of Foreign Affairs and Trade? What’s your experience in providing notary public services? Do you provide any services other than notary services? Do you have any questions regarding this article? If you have never had to have a document notarised before, you may find our role as a notary public, the notary public services that we provide, and this whole process (especially authentication, legalisation and apostille) to be confusing and daunting. Do not worry! We are here to try to simplify it, make it easy for you to understand, and to guide you or assist you with achieving your desired goal. Please contact us or visit our Frequently Asked Questions for more information regarding this article or our notary public services. Click here to see the flowchart that we created to help you understand the process regarding notarisation, apostille, authentication and legalisation. If you are now ready to proceed with having your document notarised, please visit our Notary Fees page for a FREE quote on our notary public services or just call us on 02 9687 8885 and speak to our friendly staff about your requirements. Why choose Phang Legal for your notary public services? We are a leading provider of notary public services in Sydney known for our low-cost fixed fee notary services, our availability to provide notary public services on short notice, and our focus on personal and timely notary public services. With our offices conveniently located in Parramatta, the geographic centre of the Sydney metropolitan area, our notary public assists clients from across all suburbs of Sydney and beyond. This website is maintained by Phang Legal, an incorporated legal practice in Parramatta and a leading provider of notary public services to clients across Sydney. Extensive experience and low-cost fixed prices ensures quality services and satisfied clients. 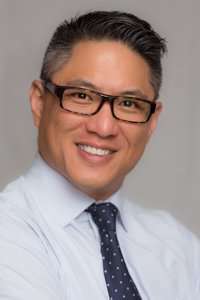 Ern Phang is the solicitor director of Phang Legal and a notary public. Ern regularly writes about his experiences as a notary public and the kinds of issues faced by his clients in sending documents overseas. All information contained in this article is for general purposes only and correct as at the time of publication. You should only rely on information and advice that is specific to your situation and current at the time you wish to rely on it. UAE - Can you travel with prescription medication? Welcome 2018. Changes to DFAT Apostille and Authentication Fees. How do I prove that I am the one and the same person? I've been told I need an apostille. Where and how do I get it?